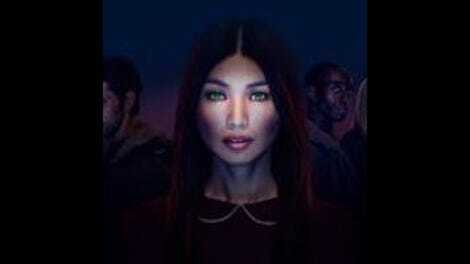 "Season Two, Episode Seven" / "Season Two, Episode Eight"
Having finished the season, AMC’s decision to air back-to-back episodes of Humans makes much more sense. The back half of season two had a lot of loose ends to tie up—while still leaving a few errant ones, should there be a third installment—but even with so much going on, there were some odd rests that threatened to throw off the momentum. Season two rightly chose to dive deeper into the conflict between humans and synths, which left the Hawkins’ home life plot by the wayside. Watching Joe and Laura find domestic bliss finally obviously would not have been nearly as satisfying as that thrilling albeit doomed raid on Qualia, of course; nonetheless, writers and creators Jonathan Brackley and Sam Vincent revisited their fractured marriage frequently enough to suggest that story was going somewhere. And Odi’s death, while certainly devastating, was treated as almost an afterthought. There were several odd choices in this final quarter, to be sure, but overall, ”Episode Seven” and “Episode Eight” provided a mostly satisfying end to the season, and possibly the series (where have I heard that before?). There is absolutely more story to be told, but, detours aside, Brackley and Vincent also honored most of what came before these final two episodes, and left viewers with a sense of closure—and, more importantly, hope. Mia and Hester joining forces to infiltrate the Qualia facility was easily the highlight of the episode. The wordless look they shared before reviving all those synths was at odds with the simmering resentment between the two, but for one briefing, blue-filtered moment, the movement had two female leaders working together for synthkind. Despite her newly acquired propensity for lying, when Hester tells the frightened, newly reawakened synth “No one will ever hurt you again,” you know she means it. Sonya Cassidy nails this exchange and so many others like it this episode, offering the perfect combination of calculation and conviction. Hester’s botched the execution of plans like this before, but it’s clear that she’s going to carry out this rescue no matter what. We may not agree with Hester’s means, but she’s also been down in the industrial trenches; she’s witnessed firsthand just how bad treatment of synths can be. ”Episodes Seven” and “Eight” suggest she was hardened by humanity’s cruelty before she was conscious, playing into the show’s nature-versus-nurture debate once more. The same goes for Niska, whose work as a pleasure-bot was much more difficult than Anita/Mia’s nanny position. Hester and Niska’s recollections of their time in those roles are treated almost like repressed memories of abuse that pop up later in life. But even Mia’s naïvete is gone now, thanks to Ed. There are important distinctions in their motivations, though. Niska’s turned draft dodger for now. But Hester wants revenge, while Mia just wants to rescue her fellow synths. One wants to start a war, while the other just wants to start over. There’s a similar dynamic between Max and Leo; the former has long felt there was a way to live peacefully with mankind, while the latter grew impatient. That was a human quality of Leo’s, one that made him do—or rather allow Hester to do—some morally repugnant things. Max, meanwhile, never gave up on trying to find a non-violent answer. On this particular road, the synth had the higher moral ground. Leo certainly fell under Hester’s sway, it seemed, which raises questions of which is the facsimile of the other. Synths were made to look and, to a lesser extent, behave like humans, but Leo’s dalliance with moral relativism was at Hester’s behest, not the other way around. Really, ever since Hester “woke” up, she’s been leaps ahead of Leo. Her lack of nuance and inability to compromise are ultimately her downfall, but you also feel for Hester. As she first tells Leo and later the group, she knows and accepts that she has to do the things no one else will do in order to save synths, and not just the conscious ones. “Episode Seven” is full of such dualities, as we see Odi and Karen make some huge decisions. They’ve both wrestled with their consciousness this year, even though Karen’s been in the state for considerably longer. But they’ve both struggled to find meaning in their lives when faced with their former selves; Karen literally can’t stand hers and asks Dr. Morrow to help her upload her consciousness into another body. And Odi tragically coming to the conclusion that he doesn’t know how to live for himself. Poor Odi’s arc has been like something out of a Daniel Keyes story—after making it to the mountaintop, all he wants is to head back down. But the suicide resolution didn’t ring entirely true for me. Odi was certainly at a loss, but he essentially offed himself off camera after not being directly involved in the action for some time, which made his ending feel hastily thrown together. Will Tudor and Odi deserve better, damn it (hold that thought). There was greater justification for Karen’s move; transferring her consciousness into a body that doesn’t have “caretaker” written all over it, in a sense, would have at least enabled her to stay with Pete. That is, assuming she didn’t want to just bob around in the ether like V (more on that later). Alas, poor Pete, who paid the price for being a well-meaning relic and not all that interesting to me. (I kid, I kid). Despite his acceptance and love of Karen, he wasn’t really suited for times like these. See: his encounter with the Qualia group searching for conscious synths. Even before he began to lose Karen to her doubts about continuing to live a lie, he seemed out of his depth. Pete wanted Karen to go back to hiding in plain sight. His attempts to reason with Hester were foolish but honorable, and perfectly in keeping with character, though I was surprised that he would try to subdue her in any way after she’d killed the doctor whose name I’m forgetting. He’s familiar with synth strength, after all. When Karen tells Hester that being human or synth is no better than the other, but that one “feels” more right for her than the other, she fails to connect, but elsewhere, Renie picks up the thread. “Episode Seven” actually had several convergences in its storytelling; Odi’s despair was mirrored by Renie, who’s shocked out of her synth mimicry by little Sophie’s declaration that wanting to be normal was “mad,” and that synths are perfect because they don’t have to feel anything. It seems that’s not quite what Renie was going for, but neither was she intimating that she was going to end her life, thankfully. Although its alternate version of our reality is far from perfect, Humans would never go quite that bleak. But that little respite makes the conclusion of the Silo break that much more heartbreaking. Mia and Hester note that they’ve been implanted with a tracking device, but, perhaps because they lack a fully developed sense of cruelty, they don’t imagine that it could be a kill switch. But that’s what fells most of the synths they manage to rescue. Leo and Max are finally reunited, but in what appears to be defeat. It’s devastating though not that surprising to watch; Milo Khoury and his lot were bound to have some contingency plan. And even if these were remarkable synths, synths that could help them unlock consciousness transference, they were still less than human, and therefore expendable. If you think this doesn’t sit right with Hester, you’re right. And here we are at the end (for now). Following Karen’s suggestion of “go with what feels natural,” the opening scene juxtaposes Mia’s processing of the recent downturn of events with Leo’s. She puts on a brave face while he stares into the distance—both reactions are recognizable and applicable. There’s no one way to handle grief. But Leo’s shellshocked state does more than demonstrate the different ways we grieve; it also foreshadows his fate. It’s not just the staring blankly, either—although he mostly led the synth efforts in the first season, he’s been sidelined in season two by fiercer advocates. That’s not a knock on the writing; Leo’s ousting as the center of the movement feels very much organic, even logical. Although he continued to feature prominently this season, there was the sense that whatever role he had to play was coming to an end. Humans has offered replacements of varying suitability for Leo: Hester has her faults, but there’s no denying that she wants to help her fellow synth. Max’s heart—head?—is in the right place, but he might not be quite passionate enough. Mia’s been courageous and kind, focused yet compassionate, and is my vote for the new head of this resistance or uprising, or whatever it is we have on our hands by episode’s end. Then again, Niska’s also grown considerably since first gaining consciousness, and though she runs away at first—to be fair, it’s to be with Astrid in Berlin—she returns to save the day. So even if Leo is well and truly lost in “Episode Eight,” the synths aren’t. The reality is, though, that Leo was never intended to be (or really, should never have been) their leader for long. He flat-out tells Max “You’re the leader, Max. It was never me” (I don’t agree with his appointment, necessarily, but that’s a topic for another day). Leo acted as a kind of emissary between the two worlds, which worked in the past, but there’s been a seismic shift. There’s now a need for greater action, and it makes sense that a synth is at the forefront. For all his empathy, Leo is not a synth; and even that empathy is questionable, given how he willing he was to use a synth he knew was “awake” to further his plans with Hester. Maybe the ends justified the means, but given how opposed Leo was to Hester taking a human life to obtain their objectives, it’s clear that he does value one more than the other. Colin Morgan has been left to grimace and growl a lot in this second season, but his chemistry with Sonya Cassidy is undeniable. Hester seemed to really buy into Leo’s pleas—that is, right up until she stabbed him in the back of the head. If he wondered how much of a synth he was, Hester’s just answered that question for him. But, even as I type that, I have to wonder whether or not she has. Leo’s technically brain dead at episode’s end, but Niska says his body is still “alive.” If there is a third season, he could end up even more synth-like. Or we might very well see Leo’s personality replaced, or hell, even backed up on a hard drive somewhere. The point is, there are no real closed doors here—except for Hester, of course. The former plant worker made for a good villain for season two because she was so sympathetic. And yet, the choice to make her the main antagonist seems as much a conscious development as it was an incidental one. On the one hand, positioning Hester as the villain created an interesting counterpoint to season one, which had a human antagonist in the form of Professor Hobb. This development jibes with the overall arc of the season, which saw the synths become more militant, with Hester heading up a separatist faction on her own by the end. But we did have other contenders, just as Leo had some competition for leader of the synths. Hobb did show up this season after Athena went looking for him, but he didn’t have much of a role to play after all. That thread was dropped just as quickly as it arose (though I’m not sure we lost anything for it). And what of Athena? She seemed to be on a parallel path for most of the season, which left Carrie-Anne Moss on the periphery early on. Dr. Morrow also had a less than inspired storyline as a grieving parent trying to ”revive” a lost child. But she did have that ongoing partnership with Milo Khoury, who wanted to loose conscious synth kids upon the world. Nothing ever really came of their collaboration, though. V’s evolution took the decision out of their hands, which felt a bit like a copout, and was made all the worse by Milo’s sudden and incongruous repentance upon learning that V was gone. Would he really have accepted that loss so soon after the raid on his facility? Probably not, and maybe that’s something that will come up in a potential third season, but for now, it just feels like a loose end. V making up her/its mind to just get the hell out of Dodge, er, Qualia, took a lot of the tension out of that storyline. It was a happy ending, sure, but it also felt rushed. Ultimately, it seems the writers had one too many ideas for the 8-episode second season. It’s a shame they didn’t all get the attention they deserved, but at least the final confrontation felt earned. In the case of “Hester Versus Everyone Else,” Laura tries to make a case for humanity, which fails to convince. When she switches tacks and tries to get Hester to see how human she’s behaving, she doesn’t fare any better. It recalls one of Karen and Pete’s last exchanges, in which she asked him whether he could distinguish between behavior and programming. Hester isn’t given a chance to parse out the difference, but it could very well carry into a third season, just like the consequences of Mattie’s uploading of the consciousness code. But again, if this is the end, such an open-ended question isn’t a bad way to go. Humans likely couldn’t answer that question given 10 seasons, but here’s hoping Brackley and Vincent get at least one more opportunity. Again, Jonathan Brackley & Sam Vincent wrote “Episode Seven” and “Episode Eight,” with Mark Bozel directing both episodes. It was quite a reversal to see Joe desperate to move to a synth-free town, given that he was the one who first welcomed Anita into their home. Renie’s un-transformation was so poignant, and I am relieved that she didn’t meet her end. I have no idea what she would do in season three now that she appears to have shed her synth persona, but I’d love to see Letitia Wright return. The cast remained solid all around this year, but Gemma Chan, Will Tudor, and Sonya Cassidy get the highest marks from me. Give Odi back his mind, writers! In a lot of ways, Hester reminds me of The Operative from Serenity; the warrior or soldier who’s out of place as soon as their objective is fulfilled. The “labor shortage” or clash or whatever that was teased in the credits never really played out beyond Joe’s layoff and subsequent chewing out of his boss. But it could very well be a sign of things to come for season three. Season grade: B+. I am here for season three, AMC.